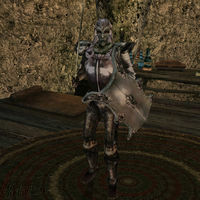 Rels Tenim is a hostile Dunmer knight hiding in Shallit with his gang of four other criminals. He has a bounty on his head, posted by the Fighters Guild. This page was last modified on 9 August 2013, at 05:05.